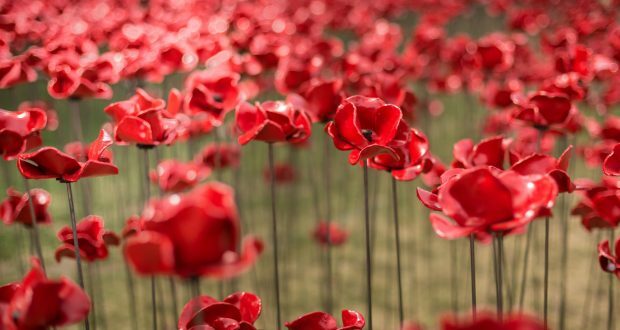 The poppy is the symbol used to commemorate the soldiers who died in war. The Surbiton Remembrance Sunday Parade started at The Royal British Legion on Hollyfield Road at 10:30am. The parade marched up Ewell Road to reach the War Memorial at 11am for a two minutes’ silence. Support was shown from various groups, including Scouts, Air Cadets, war veterans, MPs and both the Royal British Legion Band and 1st Hook Scout and Guide Band, who performed throughout the parade.